"We moved 67GB of data in 3 days for the event without failure"
Ubiquiti 802.11ac radios for the point-to-point and multipoint sections. A solution was required to cover the famous Highlands Motor Sport ‘Race to the Sky’ track with IP connectivity, which covered approximately 10km. An IP internet backhaul was also required as there were no local internet connections available. A kit was put together using all of the latest Ubiquiti 802.11ac radios for the point-to-point and point to multipoint sections. “We moved 67 GB of data in 3 days for the event without any failures!” Gareth Bennett proclaims. The ‘comm on wheels’ included 1 Ubiquiti R5AC-PTMP link, as well as 6 UHF repeaters to cover all voice comms channels for the entire course (race control, timing, 2 TV channels, operations and management). 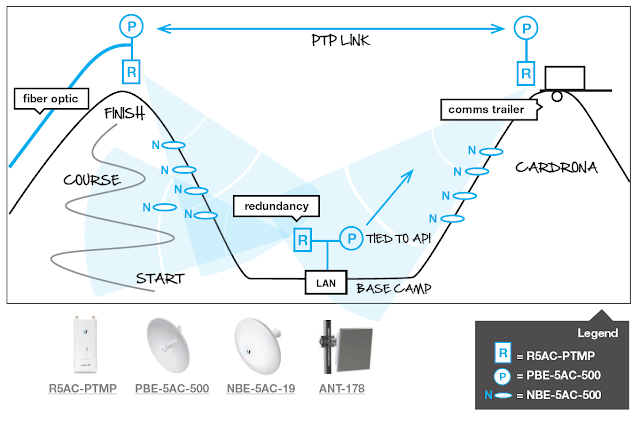 “We used a mixture of 9 Ubiquiti NBE-5AC-19 units for the clients, 3 Ubiquiti PBE-5AC-500 units for the bearers (backhaul), with 3 Ubiquiti R5AC-PTMP units using customised dual polarity antenna as access points.” Bennett Explains. 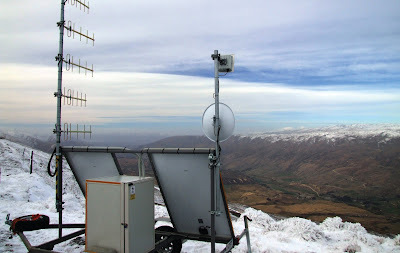 “We patched into the fibre at the top of the mountain and had a PBE-5AC-500 bearer (backhaul) and R5AC-PTMP installed. The PTP link then connected to the Cardrona comms trailer where it covered the course using a second R5AC-PTMP. At the base of the hill, another PBE-5AC-500 was set up as a subscriber off the R5AC-PTMP installed on the comms trailer, whilst feeding a third R5AC-PTMP for redundancy. A lot of the work was RF engineering such as path profiles, choosing the locations for the links, fade margins etc and antenna specifications. The trailer needed to cover a large chunk of the hill where sector antennas were not suitable due to high gain and narrow e-plane.” Bennett continues. “I never considered any other product as the Ubiquiti products are easy to use out of the box and extremely good value for money. We use Ubiquiti at Macraes Mine and have yet to have an issue with them so we knew we could count on their reliability. “Race to the Sky 2015 was a huge success!” exclaimed Bennett. 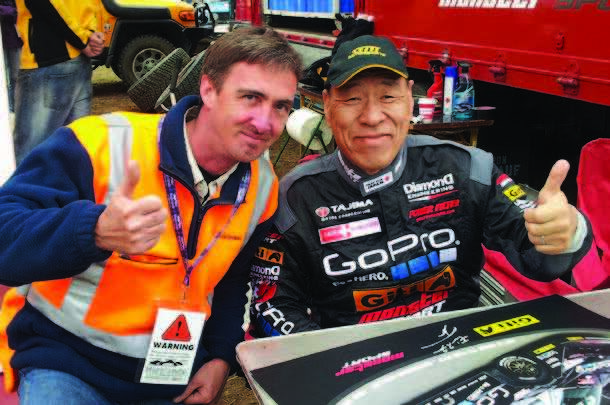 “Ubiquiti AC gear worked a treat and was instrumental on delivering such services as: race timing, media file transfers, internet access, audio streaming, big screen TV, EFTPOS, as well as relaying live TV from multiple locations back to the editors without jitter.